2- Treat every woman from the tiniest child to the oldest one with respect at all times. Always treat a woman with honor and consideration. 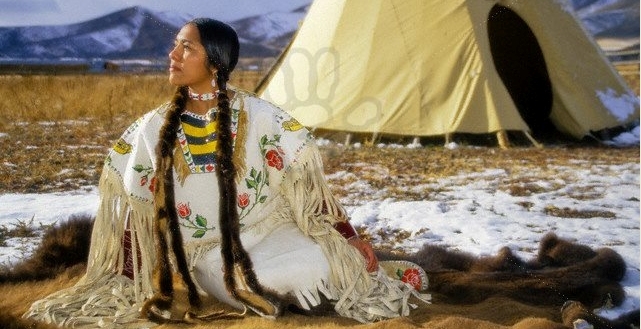 4- The honor of the people lies in the moccasin tracks of the woman. 6- "Always do what your mother asks!" 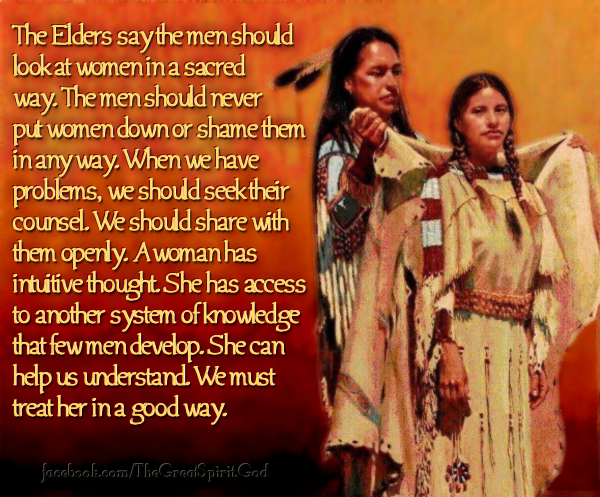 7- The Elders say the men should look at women in a sacred way. The men should never put women down or shame them in any way. When we have problems, we should seek their counsel. We should share with them openly. A woman has intuitive thought. She has access to another system of knowledge that few men develop. She can help us understand. We must treat her in a good way. 10- All women in the world are like the different colored flowers of one meadow. All are beautiful. 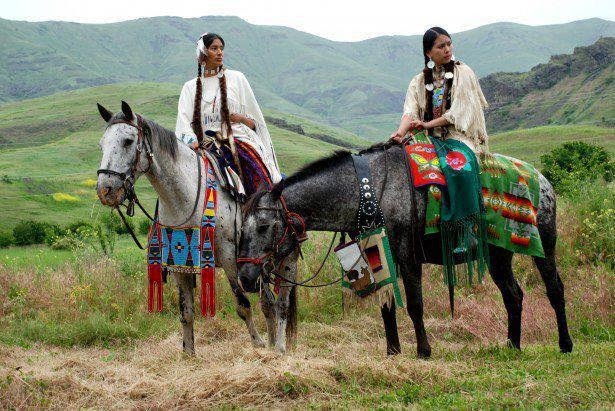 As children of the Creator, giver of life and source of all human life they must all be respected. 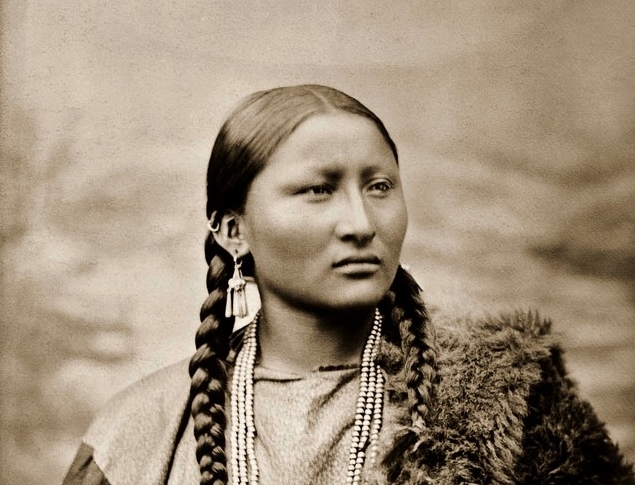 Responses to "Women Are Sacred: 11 Native American Quotes About Women"
Mankind is the only true description and true definition that truly describes and defines the human race as is, not woman, in fact, man is the backbone of the human race, not woman. Now, with that said, You know, I find it very hilarious and interesting, but sad at the same time that women are worshiped like this, going against GOD's law and GOD's Holy word as well as going against GOD's Ten Commandments and since there are absolutely no meaning and absolutely no truth to prove, backup and to support any of this satanic fairytale witchcraft and since there are absolutely no such things in the bible. I also find it very hilarious and interesting, especially since it is man who is the backbone of woman and GOD is the backbone of man. Greater is HE (Jesus Christ) than he (Satan) who is in the world, therefore, God's truth says in GOD's Holy word that teaches us, if we worship anything or anyone, especially if we worship women as gods down here on earth, we are worshiping Satan. The other interesting truth and fact that goes without saying to point out is, not only is Satan the backbone of every woman, but women are the Satan's gateway that leads to corruption, destruction and to man's second death, which is the everlasting burning pit of the lake of fires of hell. 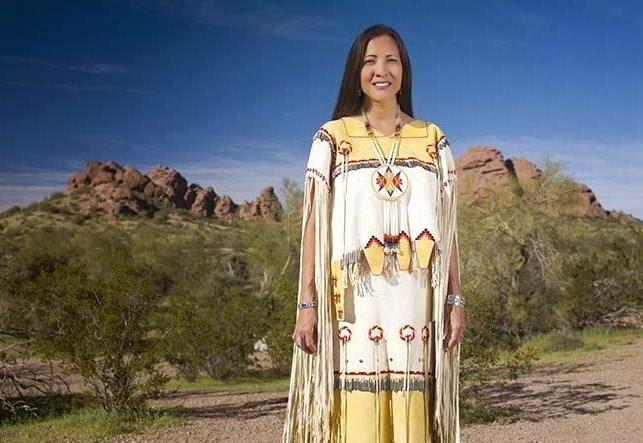 This was an awesome quotes to show respect for Native women. I don't know why the bible is on here. Great quotes! Thank you and greetings from New Zealand! Anonymous has an awful lot to say whilst remaining anonymous. I loved it until all the Bible quotes made me realize how women have been subjugated for 2,000 years. No wonder the Native Americans had to be decimated. Too much respect for the feminine.